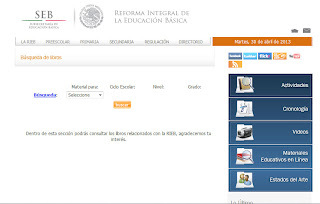 The first pull-down menu allows you to choose among student (alumno), teacher (maestro), and parents (padres). The teacher selection takes you to teacher's guides to go along with the text books. The parent selection takes you to a monthly calendar with suggestions for activities and themes to go along with each month. The student option allows you to choose the school year, then grade level. 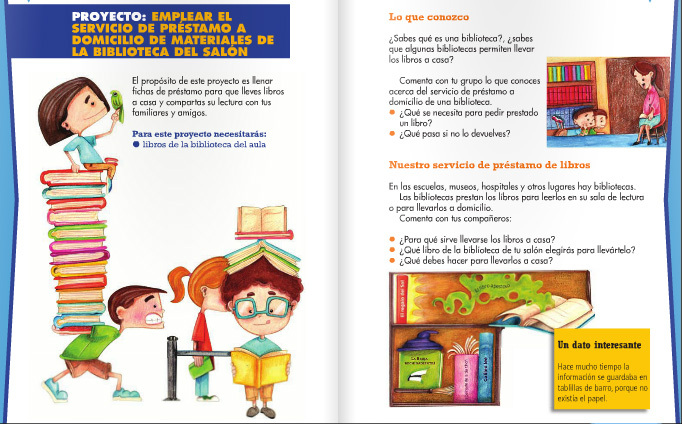 Once narrowed down to grade level, there is the option of downloading a pdf of the book or viewing the book online. If you choose to download the pdf, prepare to be patient. The files are very large and take several minutes to download. There is only one text for the 3 preschool levels featuring games and activities. 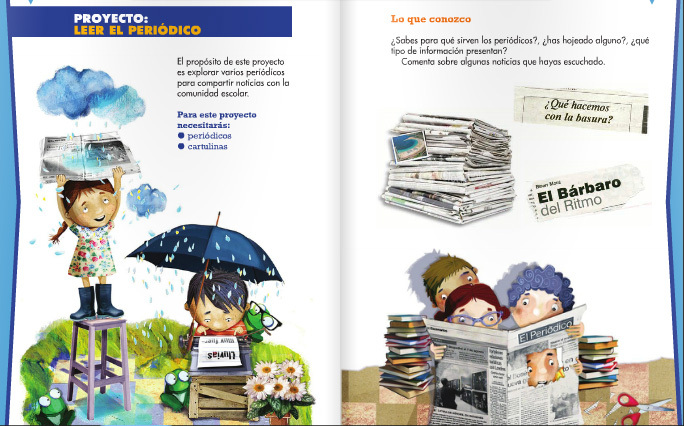 At the first grade level there is a separate text for Art, Physical Education, Spanish, Nature and Society, Math, and Reading. Science is added in third grade, history and geography in fourth. I found the texts to be full of delightful artwork and beautiful pictures. They seemed to cover broad topics, leaving the teacher to fill in with specifics. 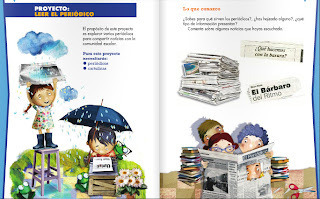 If any of my fellow bilingual homeschool families end up using these resources, I would love to hear how they worked for you. Ana thanks so much for your comments! It is so wonderful to hear from readers who are encouraged by our experiences! It encourages me to keep writing. It would be so nice if your family lived nearby to share ideas, have our children interact, and share languages! I wish you the best of luck in your homeschool endeavors. I admire your courage. Please keep in touch. I'd love to hear what you are doing and how it is working for you. You might be interested in checking out the forums on The Well Trained Mind (www.welltrainedmind.com). They have a bilingual education forum with several families who are homeschooling in places where their native language is not the local language. Oh Heather! I live in Batavia, Ohio... where do you live? I wish we were close. I will check the website and I will be posting my adventure. It scares my to death., but I will see where it takes us. I enrolled in escuelita en linea last night. I will keep you posted! We are in Navarre, Florida. :( I agree, it is a very scary endeavor, but so very worth it!